For the day job, I’m a big believer in reading as widely as possible. There’s a great danger in getting locked into reading the latest business or planning book, and undergoing planning ‘groupthink’ – when an entire community thinks exactly the same way (step forward Nudge or Black Swan – ahem). And, given a bit more time on my hands at the moment, I’ve been doing a bit of reading – two books, one of which is more of a reference book, and the other, which is one of the best examples of the power of analogy/ies. The first is the Dictionary of Modern Proverbs by Doyle, Shapiro and Mieder, which is a veritable treasure-trove of expressions, slogans and thoughts from post-1900. It’s amazingly handy if you want to know where a phrase like ‘where’s the beef’ comes from, or need to use an expression to short-hand a more complicated thought (which happens amazingly often in planning) – or just require an understanding of the culture certain phrases come from. If I had to criticise it, I’d say it was too Western (buy the Geography of Thought for the best overview on Asia I’ve read), but given how certain expressions have a habit of crossing cultures and being used globally, I think it’s still useful if you work on global business. And, what’s more, it’s invaluable pub quiz material, which is always a plus. You can’t say the same for Wikinomics. 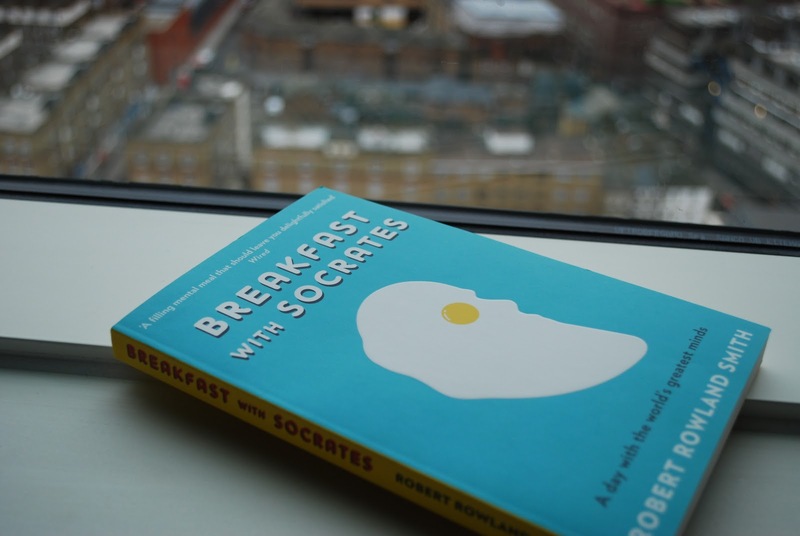 The second book is Breakfast with Socrates by Robert Rowland Smith. Essentially, it’s a look at the day in the life of someone (getting up, going to work, and so on) that discusses the moral and philosophical debates at the heart of all of these seemingly straightforward situations. That might sound dull, but the moral imperative/s for and against getting out of bed and so on are fascinating. Trust me. He uses lateral thinking to unlock some of the most complicated philosophical debates. Now, I have a confession to make. I’ve always found writing/reading about philosophy a struggle (my Philosophy A/S marks will attest to that). Writing about the intangible is something that’s much harder for me than comparing it with the real (or, at least, as real as history can be), and it’s something that planners have to do frequently. Smith’s writing is genuinely insightful because of his ability to simplify and explain with a simple extended analogy, and it’s quite remarkable to think so much can be contained within a simple ‘day in the life’. If I was more of a serious student of philosophy, I’m sure I could query some of the thinking, but I’ve found this book to be far more insightful and thought-provoking than most of what I read last year. Combining the day to day with ‘high’ concepts is something that’s always a useful device in planning, and this book is the absolute master of it. What’s more, he’s released a companion book to it, Driving with Plato, another one I plan to read. Just finished Breakfast with Socrates. It’s given me a lot to think about how I write my own blog: Tackle a small everyday occurrence with a big fat abstract philosophy and find out why it’s all a bit more interesting than it initially seems. Great read.